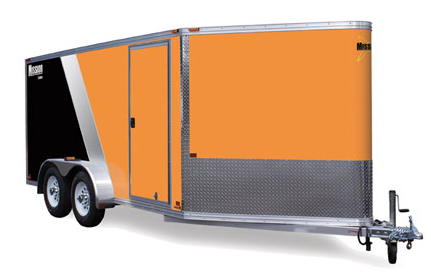 Standard cargo trailers in small sizes - up to 8 1/2' x 20'. Whether you're hauling furniture, music equipment, or tools and equipment that you want protected, you'll discover the aluminum trailer difference. Light weight and aerodynamically efficient to reduce fuel costs and add stability. Each trailer is precision built for years of enjoyable service. Choose from a standard trailer or upgrade various features to the level you need.